Let's take a look back at the past year. I'm down thirteen posts from last year, lower than the year before as well. I'm still holding my slightly more than three posts per week average for the third year in a row though. The Central MA gaming group continued to meet this year. We managed seven games together, including another one at PAX East. We even managed two games at the same time during one of our meets. We fizzled out after three months in a row at The Wiz though. I'd like to maintain a more public presence in 2017 for the group. Maybe cycle through a few other game stores to get us in front of more people. I managed 99 reviews this year; 4 clone bricks, 7 Mega Bloks, 8 Kre-O, 13 model/toys, and 67 Lego. That comes out to an average of 8.25 per month. Which is an increase of 1.7 reviews per month. I also came up with another review rating system -- which was finalized with help from Dark Cloud Blogs -- for non-Lego models. I'm closing in on 600K views, which is roughly another 250K views since last year. Thank you to everyone for that. My Flickr stream is over 1.5 million views which I must thank everyone for as well. I got to attend PAX East again, meet more great MoF0s, and play a fun game. I'm really looking forward to 2017 as it looks like everything that was planned with Dark Clouds Blogs will take place. A little filler post for the day. Tundra Reconaissance Suit by magusthemando. 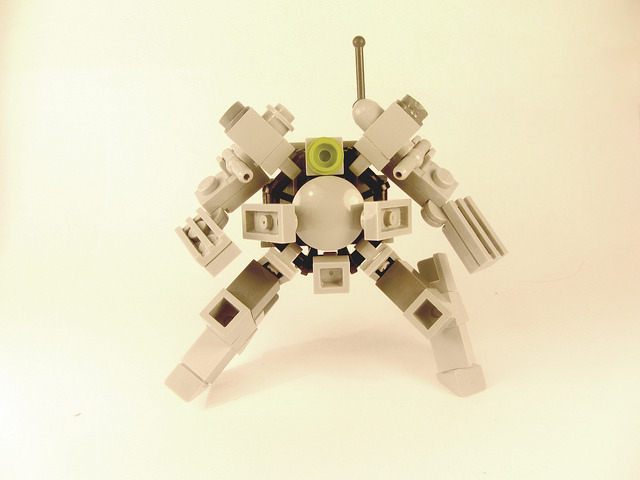 A neat little mech. Seraphim and Cherub by lordd3struct0r. Seriously beefy. this one? 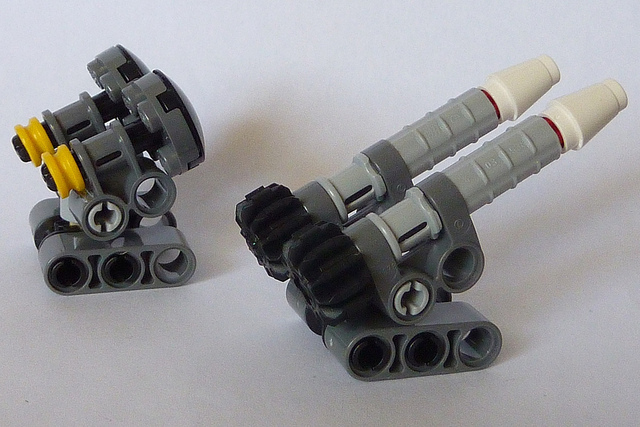 More Technic-y goodness from Pascal. UMR by The Extra Brick. This has really clean lines. I like the way it looks. interesting nonetheless. And downloads are disabled. 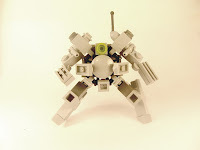 End of the week and the end of the Nindjas tribe Mixels. Bag. MSRP is $4.99 for a $0.08 Price per Piece. Parts. Several Plates, Slopes, Ball Joints, and Brackets, some Tooth Plates, Clip Plates, Modified Bricks, Minifig Sais, Robot Arms, and Large Claws, a Bar Plate, Turntable, Minifig Snake, Printed Tile, and Bar Holder w/Clip. Then there's the two Orange Ingots in the lower right of the picture. Build. Something simple for this review, a Melee specialist. Score: +20 (A+). Number three for Series 9. Middle of the week and more Nindjas tribe Mixels. Parts. Plenty of Slopes and Plates, a few Click Hinges and Ball Joints, some Clip Plates, Tooth Plates, Tiles, and Technic bits, a couple of Brackets and Minifig Katanas, and some lovely Light Bley Apollo Studs at the bottom right. Build. Yeah, I know, a tripod build is cheating. Score: +20 (A+). Number two for Series 9. 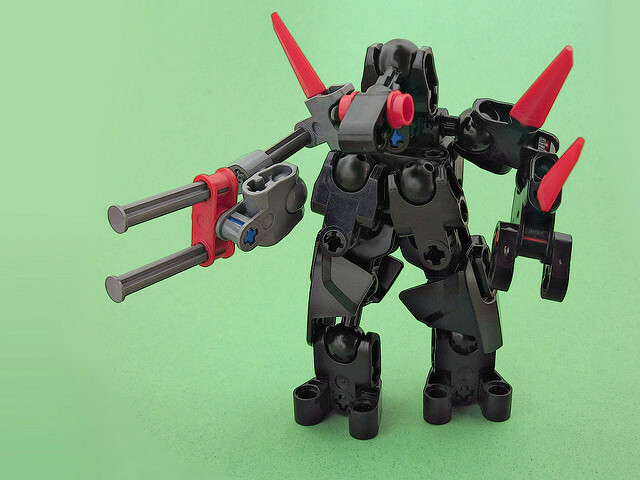 Welcome to the beginning of the end of Mixels Series 9. Bag. MSRP is $4.99. Which gives us a $0.08 Price per Piece. Parts. Plenty of Ball Joints in this one. A decent amount of Plates and Slopes. Some Brackets, Clip Plates, Tooth Plates, Jumpers, Lampholders, Bar Plates, Tiles, Horns, and a Bar Holder w/Clip, and a 6L Bar w/Stop Ring. Build 1. Yeah, it's ugly. Build 2. 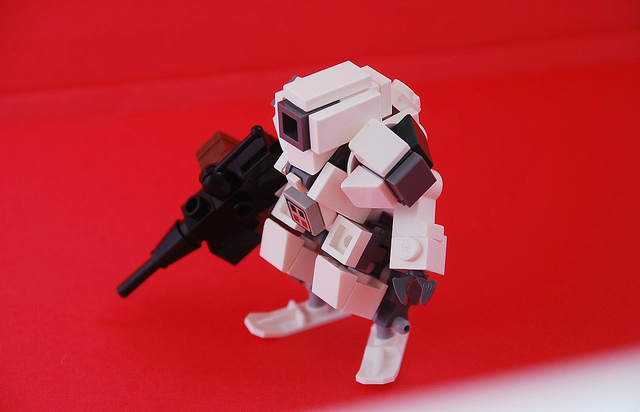 I actually had enough time to do a second build for this review. Score: +20 (A+). Starting out strong for Series 9. I wasn't planning on doing another Converge review for a while, but when I saw this set I had to finish out this release. Box. I paid $10.99 for this at Newbury Comics. Disassembled. I can see Direct Fire for the rifle, Artillery for the back mortar, Spotting for the head/antenna, and Defense for the shield. Score: +10 (A-). A better price and this would get a better score. 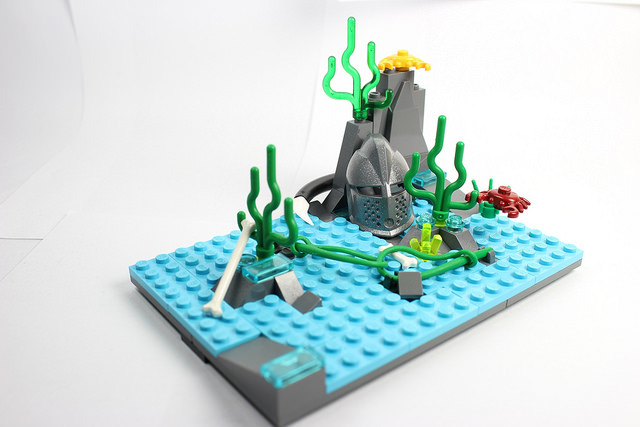 This set seems to be regarded as a little weird in the Lego community. It's an exclusive set to TRU. Box. I paid $9.99 for this at Toys'R'Us. That's a $0.08 Price per Piece. Parts 1. Plenty of parts in what Bricklink calls Bright Light Orange. A good amount of Ball Joints, several 1x2 Bricks W/2 Studs on 1 Side, plenty of Plates, Slopes, and Tiles. Parts 2. Clip Plates, Bar Plates, Ball Joints, Slopes, Plates, Cones, and New Headlight Bricks. Build. A quick, 5 minute, chicken walker. 2Rd+d8/1Y/2W. Score: +20 (A+). That's kind of surprising for a licensed, TRU exclusive set. Something quick for a busy week. The Forest Path by P.B. Cotton Candy color trees, very sci-fi. builds very often. Maybe I should start looking for more. "Micropolized" Lego City Vehicles by Galatek. Very neat. 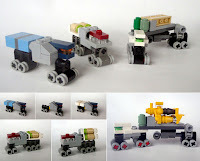 techniques to make some futuristic looking big rigs. Bateria de Misiles by fotero. 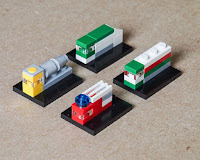 These could make nice Stations. One of the fun things about the Converge line is that occasionally there are re-issues of older models with a pallette swap. In this case these are similar Mobile Suits from the same anime piloted by two different people in the same faction. This will allow you to field two copies of the same model without having to paint either one! Box. I paid $10.99 each for these at Newbury Comics. Disassembled 1. I'm thinking Spotting for the helmet, Movement or Spotting for the verniers, Melee for the left arm, Melee or Direct Fire for the Right arm, and Defense for the leg shields. The parts in the bag are extras for Gundam Barbatos. Disassembled 2. I'm thinking Spotting for the helmet, Movement or Spotting for the verniers, Melee for the left arm, Direct Fire for the Right arm, and Defense for the leg shields. The parts in the bag are extras for Gundam Barbatos. Score: +10 (A-). I think these are both better deals than the score reveals. Another review from my recent Gundam Converge buying spree. Box. I paid $9.99 for this at Newbury Comics. Disassembled. I'm seeing the rifle as Artillery, the head could be Spotting or Defense, the backpack -- teardrop shaped item on the upper right side -- could be either Defense, Movement, or Spotting. The antenna attached to the shoulders would probably be Spotting. Score: +15 (A). There was some mold flash on the backpack mounting post and the antenna were difficult to get into their holes, so the score fits. I found out recently that there were more places carrying Gundam Converge sets than I thought. Disassembled. It has three different helmets. Accessories. I see Single Shot Rockets, and that tiny, green post attaches to one of the helmets -- which could function as a Spotting attachment. Then you have the rifle, shield, and armor panel for Direct Fire and 2x Defensive attachments. Assembled. It's a bit front heavy so you may need the base in play. The attachments on the SSRs are a little touchy so you'll have to keep track of them too. Score: +15 (A). I think the score fits.